During prohibition, an airline popped into existence offering flights to the Caribbean. Serving abundant cocktails in highball glasses, the flight became affectionately known as The Highball Express. Many ‘thirsty’ Americans jumped on board for a weekend away to sunny Cuba, where exotic rums, cocktails and punches awaited their arrival. Perched above Alinga St, The Highball Express is your private oasis in the heart of the city. With a laid-back tropical feel, streams of natural sunlight and a big, breezy balcony this venue is the perfect backdrop for a night of fun, frivolity and first-class service. 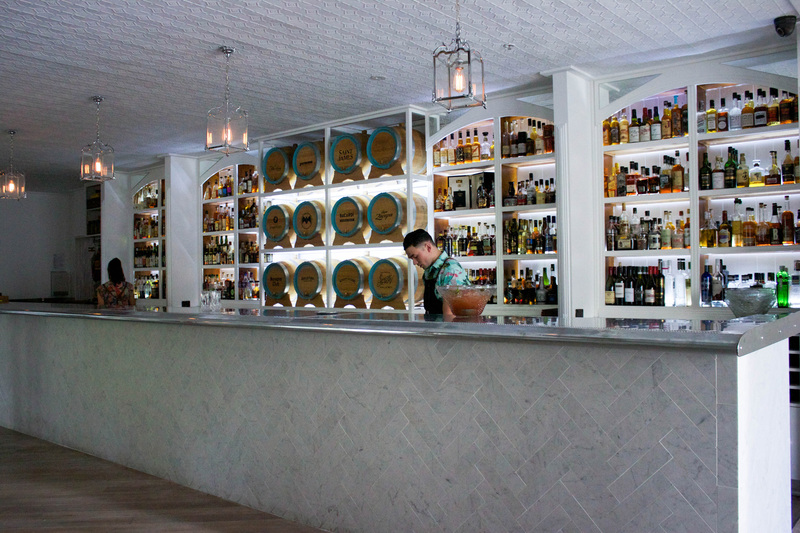 The impressive drinks list includes an extensive selection of rum, barrel-aged cocktails and our signature punch bowls. Communal booths line the sidewall in the main bar area, seating up to 30 guests the best seats in the house are available for afternoon and evening bookings. Hidden away and available for exclusive use is our First Class Business Lounge. Finally, a function space in the Canberra CBD where you can enjoy streams of natural sunlight and a truly vibrant atmosphere.